Happy Belated 2nd Anniversary to SnyMed.com! Celebrating With 2 Great Ford Mustangs #FordMustang50! It's been so busy here on the blog, that I never stopped to celebrate SnyMed.com's 2nd anniversary in January! Well, Happy belated Anniversary to us! I originally started SnyMed to create a fun place where readers could kick back and have a good time--in a family-friendly setting. 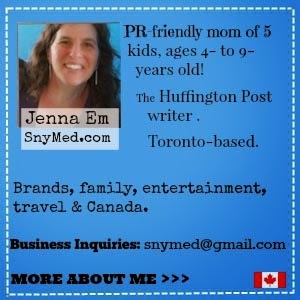 I knew that I'd be talking about family life with my 5 young kids, brands that I love, entertainment, travel, life in Canada, and more. Without doubt, I knew that I'd be running fantastic contests for readers, as I love to "give" and pass joy on whenever I can. Did you know that in this 27-month period, SnyMed.com has run over 155 contests and given away over 551 prizes to loyal readers?! During that timeframe I've given away a laptop and printer; Kobo e-readers; a child's tablet; lots of blurays and DVDs; tickets to advance movie screenings, theatrical events and other special occasions; books; tasty snack packs; subscriptions; a playhouse; free product coupons for popular food items; a kid's costume; a stroller, carseat and base travel system; gift cards; awesome clothing; kids toys, great prize packs and more! Phew! On the topic of contests, I want to thank PromoSimple, the contest entry form people. They work hard behind the scenes for every contest that you enter here on SnyMed.com, and I think it's important to give praise where praise is due! Prior to PromoSimple, I was having problems with the contest entry form that I was using. Specifically, the entry form would come unanchored and "fly around" my website, often blocking my written content in the process! Unfortunately, the support team behind my previous contest entry software looked into my issue and could not fix the problem or even isolate it. The previous entry form was also unreliable and would often be down, causing frustration for both my contestants and I.
I started using PromoSimple on a recommendation in October 2012. I needed a reliable solution for my contests, and one that would be free. (You may notice that I am not tied into an ad network, and hence generate no blog revenue from ads.) I liked that Promo Simple was very easy to use, easy to customize, and quick to put together a new contest. My readers began to e-mail and message me on social media, saying that they liked the new PromoSimple contest entry form much more than the previous format. What differentiates PromoSimple from the previous company that I used, is their quick and efficient client service. Whenever I've had a question or concern with the entry form, I've e-mailed them and received a very prompt reply. They have also been responsive to my contestants' needs, looking into individual concerns with great care--and never stopping until the issue has been solved. It's at this point I say thank you to Dan from PromoSimple, who has gone above and beyond the call of duty for me and my readers! Some interesting facts about SnyMed.com on PromoSimple: I've run 122 contests with them, received 430,000 entries submitted through them, and have recorded about 10,000 unique entrants in my contests! WOW! I draw all of my winners randomly, using either the built-in Random.org or PromoSimple contest winner randomizer. For bloggers, webmasters or companies looking to run their own contests, I would definitely recommend PromoSimple! Once you set up your first contest, it's easy to reuse common elements in future contests--without having to recreate the entire form from scratch. Set contest start and end dates--and times; leverage the power of Facebook, Twitter, Pinterest, Instagram; add your own image; change the entry form's colour; encourage fans to subscribe to your newsletter--or RSS feed, and more. Use the control panel to oversee your campaign's success and run reports. You will be able to see how much social media amplification was generated from your contest alone (ie: number of Facebook and Twitter likes, Twitter retweets, etc). Follow PromoSimple on Social Media! WIN a $25 Amazon.com (or Amazon.ca) gift card from SnyMed.com and PromoSimple! Contest open to Canada, USA and...worldwide! 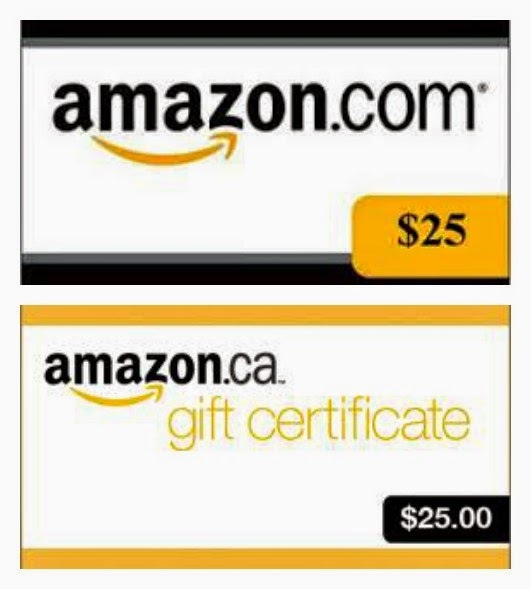 Winner will have his or her choice of an Amazon.com or Amazon.ca e-mailed gift card code. Contest ends Wednesday June 18th, 2014. Leave a COMMENT below stating what you like the best about the PromoSimple contest entry form (entry form is below to try) OR state how companies can make contest entry easier for you. Then, use the PromoSimple entry form below to enter. GOOD LUCK! I like that the PromoSimple form is clear and easy to understand and easy to use. Oh and Congrats on 2 years of blogging! Congrats on 2 years of successful blogging! I love the PromoSimple is so easy to use. A click or 2 and you're entered! Thank you for the congratulations, Jeannie - and for your feedback on PromoSimple. Congratulations on the 2nd blogiversary! It is crazy how the years just seem to fly by! I like that the form is simple, but I wish that the tweet function didn't require a manual URL input (like giveaway tools, where it confirms when you click it, that would be better). Thank you for providing your feedback on the entry from, Andrea! Pretty easy to enter and fill out! The Prosimple form is easy to use! Clear as to what you need to fill out! Bry, thanks for providing your feedback! Congrats on the second anniversary! And wow! I def learned alot about the behind the scenes contesting! Seems like a lot of work is put into it so that ppl like myself can benefit. Thanks to the great Promosimple staff too!! Thanks for your congratulations, Amy! Judy, thanks for letting me know that the form works for you. Promosimple is easy to use. Glad that you think so, Michelle! Diana, thanks for your input! I would like companies who make contest entry forms to add an edit button. Sometimes I accidently put in my wrong twitter or facebook name hit submit and then have no way to edit it after I've realized my mistake. Glogirl, thank you for providing your valuable insight about the entry form! 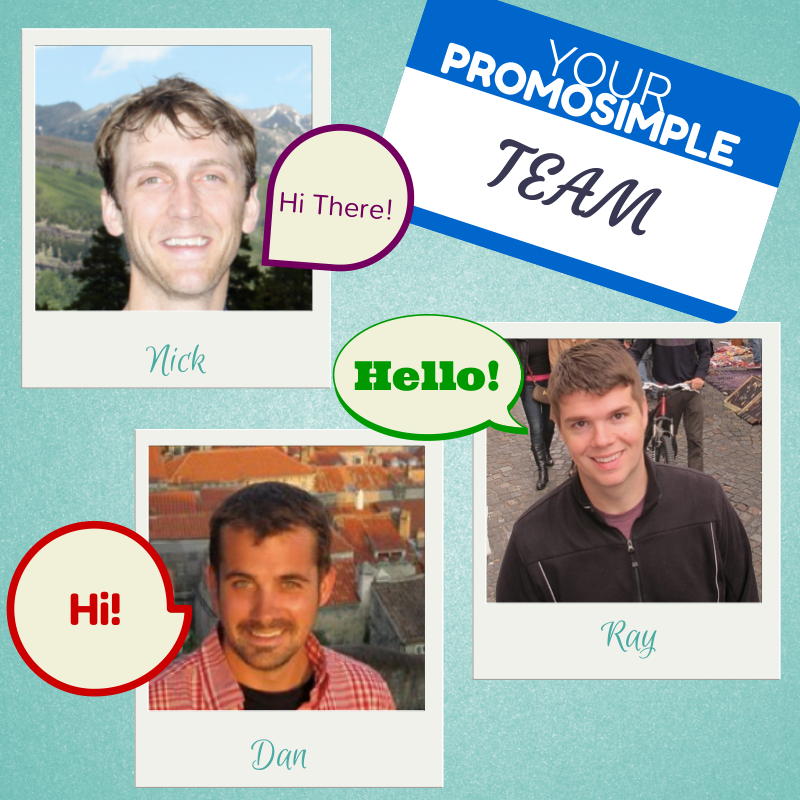 I like Promosimple because it is that: simple! Easy to use! I've never had a problem yet, with it going down, or having it "erase" all my entries, and then not being sure whether the contest host has my entries or not. Pippirose, I'm glad to hear that it's been working well for you. Congrats on 2 years of blogging. I like these forms because they are so easy to use. I like that the form is pretty simple to use and easy to understand. Susan, thanks for weighing in! Clear and simple entry format, none of the over excessive data entry, of course until the winner is chosen. Thanks for providing your opinion. I like that it's quick and easy to use the form to enter your giveaways! I like how straight forward it is to confirm each step for additional entries. Lori, thanks for letting me know that you like that feature. Rick and Jennifer, thanks for letting me know about the multiple choice! I like that the PromoSimple form is clear and simple to use. I especially like that completed entries are marked clearly. Kathleen, I appreciate you weighing in! I like promosimple but I detest people who require me to comment before entering. Ninja, thanks for your input. It's very easy to use and a bonus, it keeps me from accidentally signing up more than once. That is is easy to use and I can actually enter, alot of contests I miss out on because the form doesn't work with my computer. I'm not a fan of this type of form. I don't like going through all the different items to earn extra entries. One entry form, one time a day is my style. Name, address, etc...real simple. I do like that you highlight the important stuff on your page. Thanks for the opportunity to win the Amazon card. The first part is easy to use but I really don't like having to jump through all those hoops to try and get extra entries. Facebook and Twitter have many bugs that won't link to these forms and won't count the entries. Facebook also has a habit of unliking your likes without your consent because it deems you have too many likes. Love your blog and your giveaways, thanks so much! It's easy to fill out and I like how it asks you what country you live in. This would be helpful for Canada only giveaways. My only wish would be for it to remember your Twitter and Pinterest name so I don't have to type it in each time. I like the way the entry form moves each entry out of the way when completed. I like this form its easy! I prefer less entries than having to go through all the different types of social media. Very easy, I like it. Very easy to use, I like it. I like how the form asks for the country and easy to use and fill out. I like that it is easy to enter and there are spaces for my usernames. I entered under Rochelle in the PromoSimple. I like the form, it's easy to use. I would rather not have to imput tweet url's though. I like how it has a clean layout and is easy to use. This has a nice format and is easy to use. I love it. It is super easy and simple to use...especially for new comers. Congrats as well!! I love that it keeps track of entries and doesn't require facebook. I like using it; it is easy. Cheers! And congrats on two years of blogging. I like that it is very easy to use, easy to customize, and quick to put together a new contest. I like that it's so simple to use! I like that the form is easy, however I prefer the ones that I don't have to copy the tweet url. It looks simple. Simple is good! I like it, it seems fairly easy and wonderful to use. I love how easy PromoSimple is to use. Congrats on your blogiversary! I like the simplicity and the fact that the entered sections disappear from the list. I like that it can have a variation of ways to enter sweepstakes. Interesting post. I enjoyed reading a little "behind the scenes" info. Congratulations on 2 years! I like PromoSimple because it's reliable. I've always been able to easily enter any contest. I'd love if it automatically detected your tweet though. Congrats!And I love PromoSimple, because it so quick to enter,you can see your entries and days remainig,I wish all companies offer it! I love that you dont have to sign in again if you leave the page or reload like you have to on the rafflecopters they drive me crazy and make it take longer to enter. I love that this form is simpler and only sign in once. I have loved PromoSimple for as long as I have been a member not sure how long but long enough that I cant remember. I really did like the simplicity of using the entry form. I was a little surprised to see that it didn't save your info tho...for instance like when I followed you on Twitter and then followed them on Twitter, I had to enter my Twitter name BOTH times, most entry forms save it after the first...but it is definitely one of the better ones I have came across in my 5 years of blogging. Congrats on TWO years by the way. That's awesome, hun. I like that PromoSimple is really easy to use. Honestly it isn't my favorite platform, but it works. I still think the Rafflecopter form is easier to read (to see if you like something on Facebook or follow it on Twitter) & easier to use. I like that it's nicely laid out and, most of the time, makes entering giveaways a little faster. I like that you can just click on everything and not have to log in with facebook. I like how easy it is to use and that it isnt too time consuming. There are a lot of giveaways that are hard to enter or unclear on what all you need to do. I like that the form is simple. It only asks for needed information. I love how easy it is to use. Great blog by the way. I like how easy the form is too fill out! Thank you so much for the great giveaway! I love how easy that Promo Simple makes it for entering giveaways. Just a click or two per entry, and you're done. Definitely makes things funner! I like that is is so easy and it is a very simple way to enter. The things I like best about the PromoSimple contest entry form are the ease of use and how it keeps track of how many times an individual has entered the contest as well as how many times the contest has been entered overall. It gives me a pretty good idea of what my odds might be to win the contest. I like knowing that. I definitely enjoy using PromoSimple contest entry forms more than Rafflecopter contest entry forms.